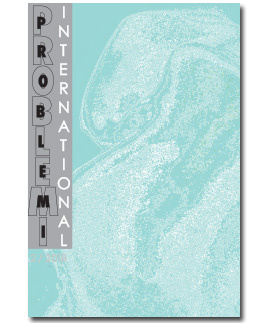 Annually, the journal Problemi appears in 4-5 double issues. The annual subscription fee is paid in one sum; bill is sent to subscriber's address. In 2018, the fee for individuals, including VAT, amounts to 60,00EUR, for institutions 70,00EUR. Since January 1, 2005, subscribers enjoy a 30% discount to regular book price when purchasing books in our online store, in compliance with regulation from July 2, 2004 (Splošni pogoji delovanja slovenskega knjižnega trga, Uradni list, no. 72). To cancel your subscription, send a request to analecta@drustvo-dtp.si in December of the current year, effective with the next year.